Among the best times of my life was when I lived in West Hollywood at perhaps the most rock-and-roll address in all of Hollywood: 8787 Shoreham Drive. Shoreham Towers was a trendy yet historical, totally hip building that soared above the original Spago, right across the street from Tower Records at the heart of Sunset Boulevard. You could walk over to The Rainbow and bump into Lemmy from Motörhead. Secret shows by grungy bands like Stone Temple Pilots and the like would pop up at places like the Viper Room, The Roxy, or The Whisky A Go-Go, with executives literally a two-minute walk from nearby Geffen and Atlantic Records. I am absolutely dating myself by talking about strolling to Tower Records, which was only 100 paces down the hill from my condo at Shoreham Towers to buy Compact Discs with the coolest crowd in arguably at the most iconic record store ever, but it was super fun for so many years. Monday nights at midnight, you would bump into the likes of Rick Ruben waiting in line to buy that newly released Rush album just like you. It was the rock-and-roll lifestyle defined. I curse myself for ever selling that 800-square-foot deluxe apartment in the sky. Yes, it needed new Fleetwood double-paned windows to block out the sound when the nightclubs let out at 1:30 AM, but the unobstructed views were nothing short of mesmerizing both day and night. The audiophile gear that I had jammed into that place was also downright silly for the day. At that stage in my life I was into total excess, which in audio terms meant having redundant gear even if I didn't have room for it. 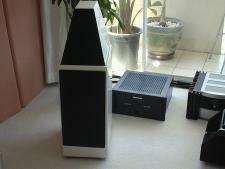 I had a Mark Levinson amp as well as Audio Research tube monoblocks. I had a Meridian 861 AV preamp as well as a Mark Levinson No. 40. Flat TVs were in their infancy, thus the cost was prohibitive even at 40 inches (like $20,000 each), so I had a Sony seven-inch CRT projector with a Faroudja line doubler on an automated roll-down Stewart Filmscreen hidden in the ceiling. Everything was neatly rack mounted. I had Lutron lighting control, Transparent cables, Wilson WATT Puppy speakers in Audi Pearl white paint, and a big 15-inch Revel Sub 30 that allowed me to torment my neighbor (Neil Sedaka) with 115 dB of audio paired with my absolutely terrible guitar playing. It was the best of times. Simple times. 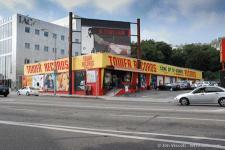 Tower Records, from my college days until when I could move to the Sunset Strip in my early 20s, was an institution. The silver disc ruled supreme, and I dropped money on them like there was no tomorrow. I would buy records on spec that I never heard before in a time when there was no such thing as YouTube, much less Tidal, to preview such music. The staff at Tower Records worked there because they really wanted to. The middle desk was filled with guys and girls who had bolts in their lips or eye brows (or elsewhere) but could talk about The Meat Beat Manifesto's entire catalog of industrial electronic music or Karen Carpenter's last solo record as if they had a degree in music. They were passionate, and the customers loved it. The inventory at Tower Records was also really deep. They stocked items like rare Prince singles that you couldn't find at a random Sam Goody in Cleveland. They had Mobile Fidelity gold discs selling at a premium price. They had expensive imports, too. Basically, they had everything and people came there to buy and buy a lot of. Then one day Tower Records went away. Bankrupt. I wrote about this audiophile tragedy at the time, and ultimately (after writing the story) was introduced to the man who founded Tower Records. Russ told me how the judge wouldn't let the company restructure to keep the highly successful stores like Sunset Boulevard, Newport Beach, San Francisco, the original location in Sacramento, Cherry Hill New Jersey, South Street and Broad Street in Philadelphia, and a few others. The judge took one bid increment higher ($500,000) and ordered the chain closed. And with that one decision, the music business, the Sunset Strip, and audiophiles were never the same. You gotta love bankers and lawyers, right? Jump forward to 2014, and Gibson Guitars (at the time owners of Onkyo, Gibson, Kramer, Wurlitzer, and many other brands) took out a 15-year lease on the legendary Tower Records location on Sunset Boulevard. Much like its neighbor, Spago, not much had gone on in this iconic retail location other than parking for local nightclubs and coffee shops. Gibson's plan was to revive Tower Records with its yellow and red paint job backing all of the cover art from the latest music, thus making the location a Sunset Strip playground for any and all of their products. A novel idea if there ever was one. And then Gibson got themselves in big, big financial trouble. According to CurbedLA.com, they are bailing on the lease just a few months in. They've sold off brands like Onkyo and made other huge cuts to try to save the core business. That raises an interesting question which is: what to do with Tower Records going forward? Vintage record buyers who still believe in physical media view this store as a Mecca for music and likely will return there if for no reason other than to relive a time in history when physical media ruled the world. With that said, 2017 RIAA domestic music sales were nearly $9 Billion total, with about 80 percent of that number coming from downloads and streaming. Physical media made up about 17 percent of all domestic music sales with less than $400 Million from new vinyl sales and about $1.1 Billion coming from Compact Disc sales in 2017. With streaming and downloads making up the lion's share of music sales, does keeping Tower Records open for historical and/or promotional sale make sense? 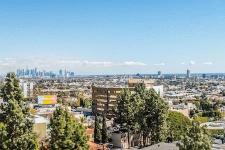 The real estate in West Hollywood has boomed (don't get me started on my regret for selling my condo in 2003), and that has changed the culture there. Rock clubs are still there, but the people that go need to be able to afford $20-plus parking, cover charges, and expensive drinks. Home and condo prices have skyrocketed. Retail has gone more and more upmarket. Selling low-profit-margin physical discs might just not make sense if you had to earn a month-in and month-out profit. On nearby and super-swanky Rodeo Drive, many of the uber-luxurious stores operate at a loss just to allow the brands the cache of saying that they have a Rodeo Drive address. That's the opposite of profitable unless you can write off the location as Gibson was trying to do with Tower Records. Sadly, perhaps it is time to say goodbye yet again to one of the coolest record stores ever, as the physical disc has little to no future, and with extremely high overhead, the hopes of eking out a profit with a traditional, iconic record store seems unlikely. RIP Tower Records, one more time. 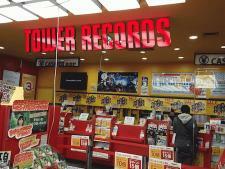 Did you ever visit any of the famous Tower Records locations? What was/is your favorite places to buy physical media? Are you discless yet? Will you be soon? If so, tell us all about it in the comments sections below.